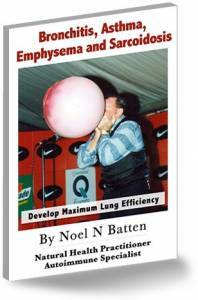 In this eBook I offer evidence, Parkinson’s disease and multiple sclerosis are just fake disease names invented in the 1800’s so pharmaceutical drug companies could increase their drug sales by selling drugs that don’t do much more than relax a patients muscles to give them a false impression. — In the 1800’s small chemist businesses were doing anything they could, to expand into becoming the large pharmaceutical companies we have today. Many Patients Want To Suicide Because Their Symptoms Are “Terribly” Disturbing. 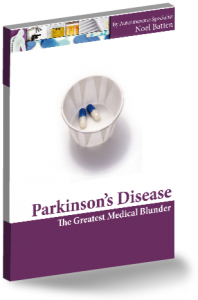 Advanced Parkinson and MS patients can be so immobilized by tremors, head and neck debilitation, and other symptoms wrongly associated with these two rigidity disorders, their lives are ruined and they can become suicidal, depressed, and bed-ridden, day and night. — These patients, when advanced in symptom severity, go through a terrible long drawn-out suicidal suffering and their close family members share that suffering with them, every single day. — I have treated many patients in this severe state, so I know how they, and their family members suffer, and Betty Green from Colorado was one of those patients. — Betty “REALLY” needed help but in my opinion, drug companies not only don’t give a dam, they don’t want patients regaining their muscle flexibility and health because it will mean they will no longer need their prescribed drugs. Watch this video below of my client Batty Green whose muscular system was so fatigued in her hips and legs, her legs were like rubber, and so rigid in her chest and lower back, she had severe back pain and every time she took a breath, she experienced pain in her rib cage. — After helping Betty with stress management to develop peace of mind so she slept well, then having a chiropractor realign her spine, and I carried out my nerve massage and overcame all her negative muscle memory, her back pain and breathing problem went away and she developed enough leg strength, that her legs could hold her body weight and she then started taking a few steps. — She was so happy, she cried. and treat patients well enough to achieve remission. If You Have Not Had Parkinson Or MS Symptoms For Longer Than 12 Months, You Need To Act Now! 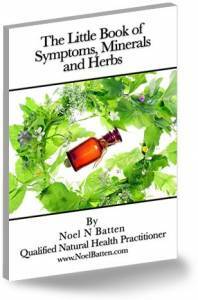 The reason this group of symptoms that doctors have been trained by pharmaceutical drug company lecturers to believe are caused by two separate diseases that are incurable, is because drug company leaders do not want anybody knowing that they are just advanced reactions to stress that make the muscular system become very stiff and fatigued. — If this got out to the public, patients would do what I am teaching them to do and that is, develop peace of mind to improve sleep, have regular chiropractic adjustment to keep the cervical spine in alignment, and regular massage to overcome all upper torso stiffness, for a minimum of six to eight weeks. If These Two Diseases Don’t Actually Exist, As I Claim They Don’t, Then What Causes The Symptoms Associated With Them? Well, I guess by the title of this book, by now you may have labelled me as a radical who is dramatizing things to get some attention but I am sorry to say, this is “NOT” the case. — If you look into what I am saying, you will find it very easy to see the truth yourself. 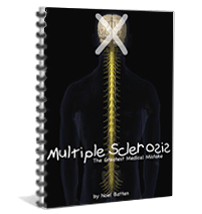 — The first thing I want you to understand is that while doing assessments on hundreds of Parkinson and MS patients since I started specializing in treating only these two disorders, back in 2005, I discovered that every single Parkinson and MS patient has problems in the cervical spine, and like Betty, all of them also have excess muscle stiffness at the neck, shoulders and hip or lower back area. I also discovered that adjusting the cervical spine and massaging the muscle stiffness away, shows a certain degree of “immediate” reduction in symptom severity but it is usually temporary. — If a patient has not had any symptoms for longer than twelve months, weekly chiropractic adjustments, along with weekly massage of the excess muscle stiffness, over the course of around six to eight weeks, often puts these first year patients into remission. — If “you” were diagnosed with Parkinson’s disease or multiple sclerosis and you have not had your symptoms for longer than twelve months, go and arrange to have chiropractic adjustment and massage right “NOW!” — Don’t question me, just do it and you will see the improvement begin straight away. Back in the days of Dr. Claudius Galen (130AD – 200AD) medical doctors mainly used herbs, opium “bone cracking” as it was known then, or “chiropractic” as it is known now, and any other means that would help patients overcome their health problems. Even back then, doctors like Galen documented cases of “The Shaking Palsy” and they blamed the associated symptoms on “muscle rigidity”. 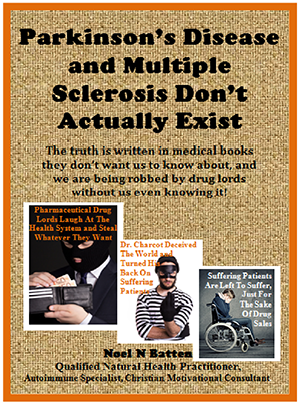 — You can read more about these facts in my eBook “Parkinson’s Disease and Multiple Sclerosis Don’t Actually Exist” and how, as pharmaceuticals became more and more profitable, doctors were stopped from using herbs and chiropractic and confined to always using a prescription pad. If You Have Had Parkinson and MS Symptoms For More Than Two Years, You May Need My Help To Reach Remission. As previously explained, if you do regular chiropractic and massage within the first year of symptom development, you will overcome PD and MS symptoms within six to eight weeks but after the second year you will be faced with advanced causal problems that are not so easy to overcome. During The Second Year Of Symptoms Development, Blood Flow Throughout The Body Begins To Reduce, Which Is Why From The Second Year On, Patients Feel A Little Colder In Their Torso and Limbs. During the second year of symptom development in Parkinson’s disease and multiple sclerosis, the original muscle stiffness which pulls the skeletal frame out of alignment begins to reduce blood flow to different areas of the body, in different patients, which is how Dr. Zamboni’s CCSVI operation was considered an effective option for a while. — If you L/C on the CCSVI link on the previous line and watch the second video down, of Allison Milne, you will hear her testimony about how it is a useless waste of time. — Whilst excess muscle stiffness in the neck, suppresses the carotid arteries in Parkinson and MS patients, opening the arteries is not the answer because the excess muscle stiffness is still there suppressing freedom of many things in the neck, including nerves. This excess muscle stiffness around the skeletal frame now begins to cause loss of lordosis, curvature, spinal kinks and reduced nerve activity. — Once this excess muscle stiffness is combined with reduced blood flow around the spine, degeneration in the discs also begins to develop and all these advanced problems require advanced “natural” treatments. will cause success to grow tomorrow, in your life.